Every time you start to feel like life isn’t fair, remember this: Judge Judy is the highest-paid person on television. Kind of makes you want to dance in a field of daisies, doesn’t it? No other TV celebrity is more worthy of racking up insane wealth ($47 million a year) than our very own Judge Judy Sheindlin, a retired Manhattan family court judge who has gifted TV viewers with her best, no-nonsense advice since 1996. Throughout the years, Judy has cut right through the heart of everyone’s BS, reminding us there will be hell to pay if we break our apartment lease or pull a prank that leaves our BFF’s car in ruins. But she has done so much more than that for parents. Judge Judy has unknowingly dished out the best parenting advice on Earth. 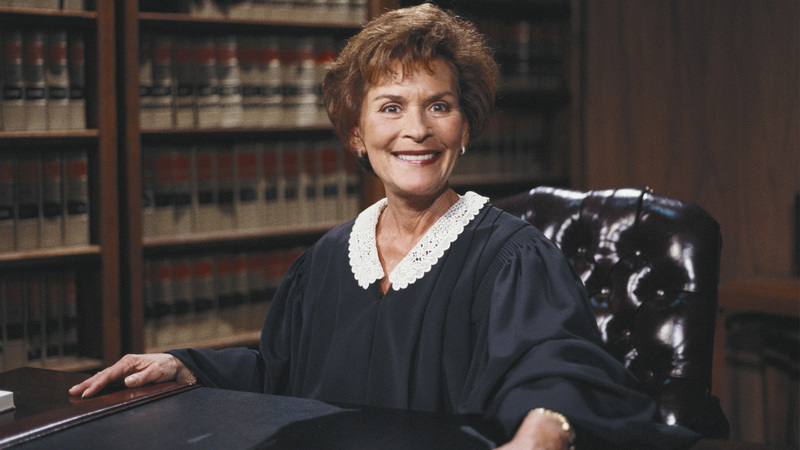 Here are seven Judge Judy quotes that will sum up every feeling you have about parenting and/or can and should be used against your children in a court of law. “This is not Let’s Make a Deal, and I’m not Monty Hall!” Expect to be met with blank stares since there’s a possibility neither you nor your children were alive when Hall hosted this classic game show — but the cluelessness on their faces will only make it funnier. “Don’t pee on my leg and tell me it’s raining.” This gem works equally well on both toddlers and teens attempting to convince you that a $500 school ski trip is an investment in their education.